Finally the wait is over for Ajith fans. The Billa 2 team had made official confirmation that the First Look stills of Ajith in Billa 2 will be revealed out tomorrow. 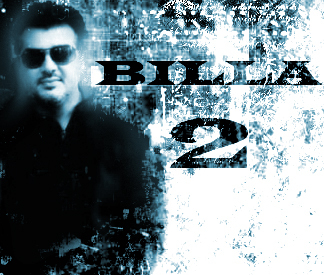 Sources say that three stunning posters of Billa 2 will be released in this initial stage of promotion. Also director Chakri Toleti wants the film to reach big, so he is planning for promotions of Billa 2 in a unique way. Ajith's Billa 2 is in its final stages of shooting with post-production works going on the other side. The movie is slated for a May 1, 2012 release. Even as Kollywood filmmakers failed to lure the Bollywood hottie Kareena Kapoor to Tamil films, here is our own K'town actor Karan who is lucky enough to share screen-space for a scooter commercial with the Ra.One star. Looks like Karan, who has till now turned down branding any product, has finally given up his policy- thanks to the star power of Kareena! In this regional ad, Kareena, who is the pan-India brand ambassador for the product, plays a sales girl and instigates the customer (Karan) to take the scooter for a test drive — with the actress parked on the pillion. At the end of the tough ride, Karan says, 'The scooter is good, but your Tamil is bad'. Denying reports that Surya's next with director Hari has been shelved, sources say the duw will start shooting from the end of March for this action film. After the success of Singam, Surya will pair up with Anushka again in this flick. Comedian Santhanam is working in the movie. While some portions will be shot in India, the director has planned to shoot a part of the film in Nigeria and Kenya in Africa. Devi Sri Prasad has been signed on as the music director. Nanban, a remake of Three Idiots starring Vijay and directed by Shankar has opened big. The movie hit the screens on Thursday and witnessed a bumper opening. 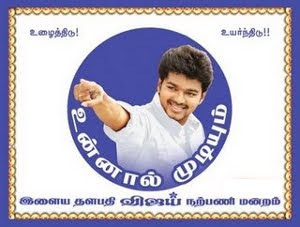 Vijay fans throged in large numbers and celebrated across theatres. The film has won rave reviews too for it was a faithful remake of Three Idiots. It is a different Vijay film for there is no punchlines or muscle-flexing stunt sequences. Nanban will make it big and with Vettai hitting the screens on Saturday, a cracker of contest awaits at the box office, trade analysts say. Richa Gangopadhyay is all set to exhibit her best of potentials across all regional movies. The actress has won the hearts of Tamil audiences with her ne plus ultra performance in 'Mayakkam Enna' that is keeping a lot of awards ready for her. Her Bollywood debut will happen soon and the actress will perform an item number for the film 'Rowdy Rathore' directed by Prabhu Deva. A remake of Telugu movie 'Vikramakudu' that later saw big success through its Tamil remake 'Siruthai' has grabbed everyone's attention right through the first look poster of Hindi version starring Akshay Kumar in lead role. Addressing the team of media channels and journalists this noon at Hotel Green Part, director Lingusamy has mentioned that he will be soon remaking Vettai in Hindi and discussions are going on. Vettai is a film which has Madhavan, Arya, Sameera Reddy and Amala Paul in the lead roles. This film which has been produced by Thirrupathi Brothers is being released by UTV Motion Pictures. This film has been produced by Lingusamy. 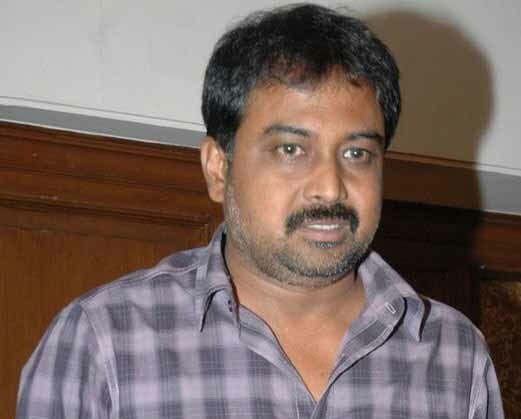 Lingusamy had earlier mentioned that the script for Vettai will be suitable for all languages. In the press meet which was held today, Lingusamy has mentioned that this film will be remade in Hindi. This film will have Salman Khan in Madhavan's role and Ranbir Kapoor in Arya's role. It is understood that this film is being screened for Bollywood stars in Mumbai tomorrow with English sub-titles. Prakash Raj, the successful entrepreneur in showbiz has been tremendously marking a feat of accomplishment in all arenas. He has now made his debut directorial through the bilingual movie 'Dhoni' that is scheduled to hit screens by next month. The teasers have earned good response and are touted to be an emotional melodrama laced with humor and sentiments. Prakash Raj has now acquired the remake rights of the well acclaimed Malayalam movie 'Salt N Pepper' that starred Lal, Asif Ali, Swetha Mohan, Mythili and others. The film had a good reception across all the centres and that has gradually attracted Prakash Raj, who will be remaking the film in Tamil, Telugu and Kannada respectively. 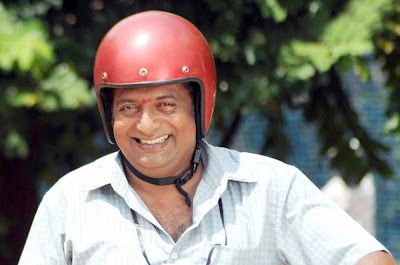 It looks like Prakash Raj will be enacting the role of Lal in all the three versions.